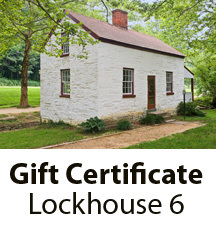 Cozy up for the night at Lockhouse 49 and experience life as it may have been on the canal in the 1920s when the surrounding area was a thriving community known as Four Locks. Canal Quarters offers an extraordinary interpretive opportunity for people of all ages. 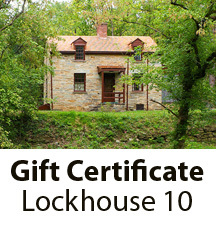 Now, for the first time ever, you can stay overnight in a lockhouse and experience life as it may have been during a bygone era on the C&O Canal. 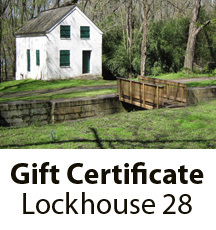 Four lockhouses have been painstakingly rehabilitated and furnished to evoke different eras in the canal’s history. 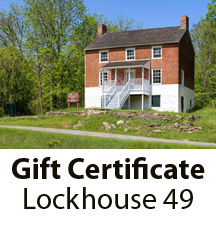 Lockhouse 49 has electricity and heat but no running water. A portable toilet is available. At mile marker 108.7. 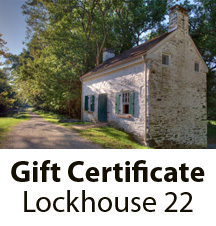 Price includes $125 lockhouse rate and $10 cleaning fee.